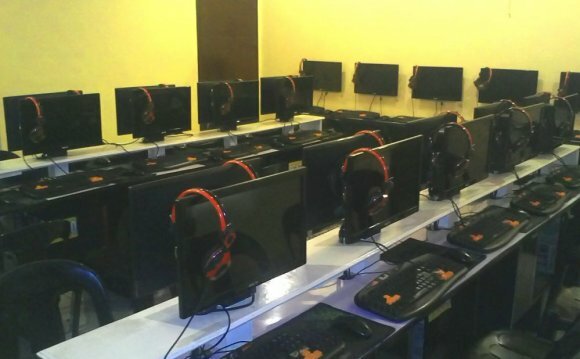 I assume that you’ve arrived at this site because you are searching information about the internet cafe business in the Philippines for the purpose of determining whether you’ll push through with your plan of putting up one. Good for you! ‘Coz you have made the most important process of all to be an effective entrepreneur… Feasibility Study! This is not an exhaustive study, but I will just point out the major factors why you should or should not put up an internet cafe in this country based on my experience as an X-internet cafe’ owner. I’ll try to break them down into seperate posts. It is sad to know that a lot of people do not perform feasibility study before they put up a business. It is also sad to know that other people who where taught how to perform F.S. through education does not properly do it. These people are so optimistic that they are blinded by their desire to have a business of their own. COMPETITION. “Know thy self and know thy Enemy (competitors)” – And don’t forget to ask HOW MANY ENEMIES will you have? This may be the number one factor that you must consider. Even if you have the skill, the capital, best service, positive attitude, good management, good location, passion for the business… even if you have all of these you will not survive if you will decide to ignore the LAW OF SUPPLY AND DEMAND. We are in a free market and the “Law of Supply and Demand” will certainly apply. I just can’t understand why there are investors who put up their internet cafe in an area wherein there are 10 internet cafe’s already established! There are a lot of internet cafe that goes to bankruptcy when they ignore that law or in my case I failed to FORESEE the increased in number of internet cafe in my area. When there are too many i-cafe in one area, the most common thing that will happen is that the i-cafe who has few customers will lessen his service price upto the point that they will go below their “break-even” point just to attract customers. Now it is impossible for you to compete with these “suicidal” competitors who are “operating at a lost”. What do I mean? How many internet cafe do you know who have a rate of 15 pesos an hour? FYI, with this rate, those internet cafe are operating at a lost. Why? Just try to compute for their monthly expenses and DON’T forget the DEPRECIATION (of course you need to get back your investment) of your computers, you will see they are operating at a lost.